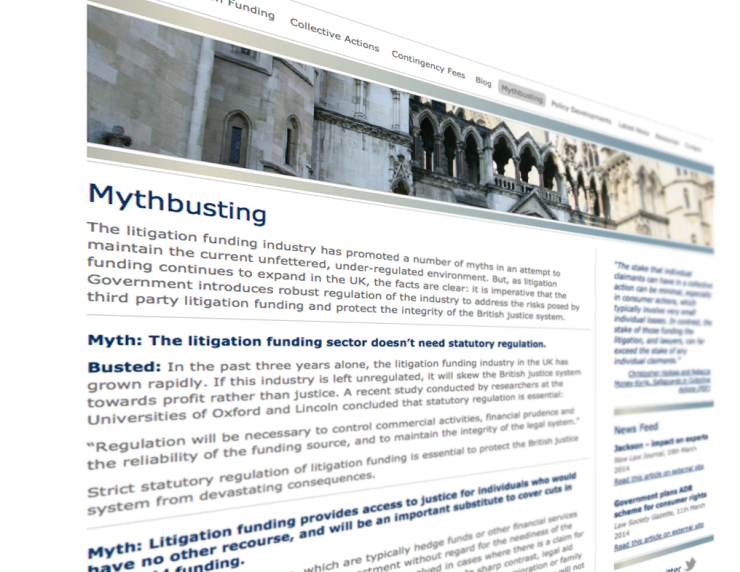 A web resource to highlight the encroaching erosion of the legal process in the United Kingdom. DFML was commissioned by global comms agency Fleishman-Hillard to work with their in-house PR, media and design teams to deliver and maintain the OLF site for its two-year campaign. 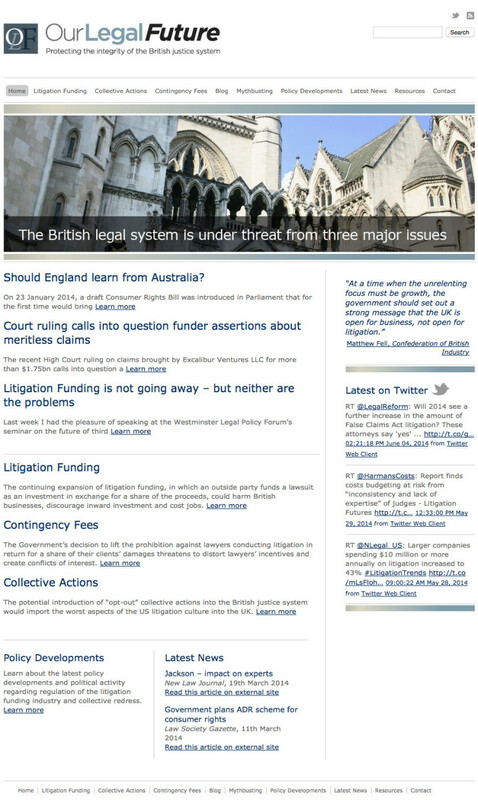 The site offered news, articles and links to external features on the expansion of ‘litigation culture’ in the United Kingdom, especially in the hands of large corporations. DFML currently hosts a demo version of the site, with static Twitter feed (as this is no longer live) here.